Nine wonderful years have passed since you tied the knot and we bet there have been countless memories that have paved your way to this anniversary. This is the perfect opportunity to take the time to look back at some of the special moments you’ve shared during the last nine years. 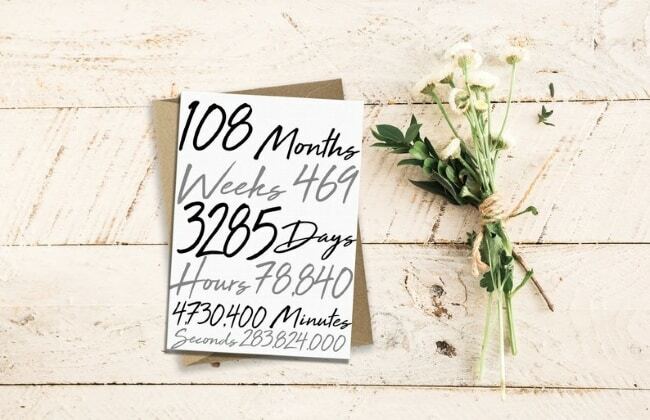 Obviously next year is going to be a biggie in terms of big round anniversary numbers. But I think it’s super important to make the most of every day you can. Nine years is a massive achievement in itself so be sure to celebrate together and have a peek at some lovely gift ideas. 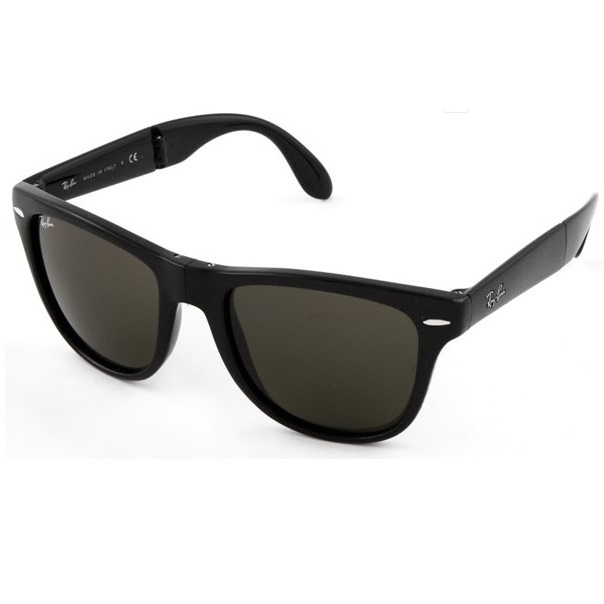 What is the Traditional 9th Anniversary Gift? 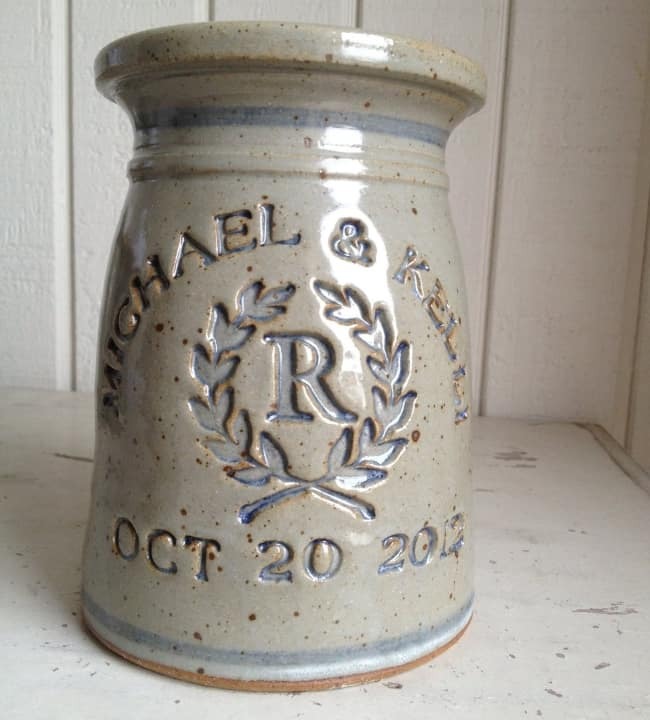 The traditional gift for your 9th anniversary is pottery. Such a good reminder that gorgeous things can come from simple beginnings. 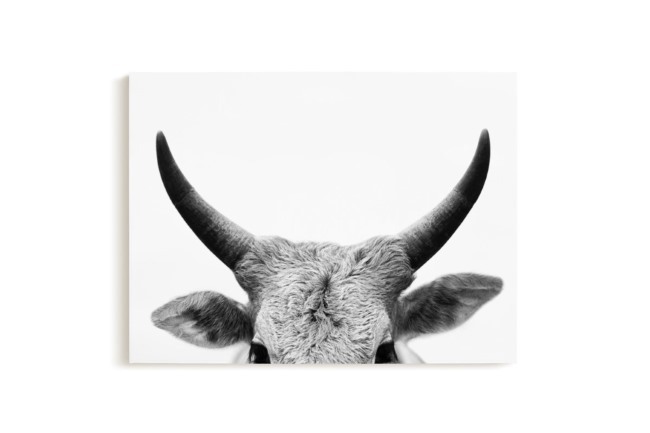 It also gives you a great excuse to pick up some seriously stylish homeware and kitchen accessories. 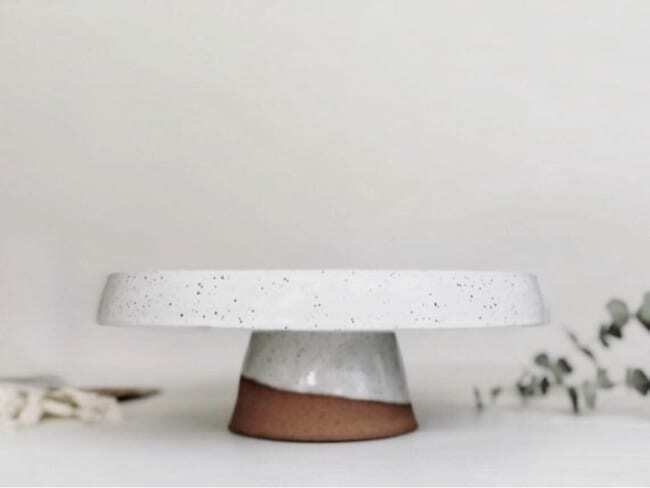 Now, if you want to be faithful to the traditional gift, be sure to keep an eye on the kind of crockery or other clay goodies you’re buying because some might actually be porcelain, which isn’t the same thing. 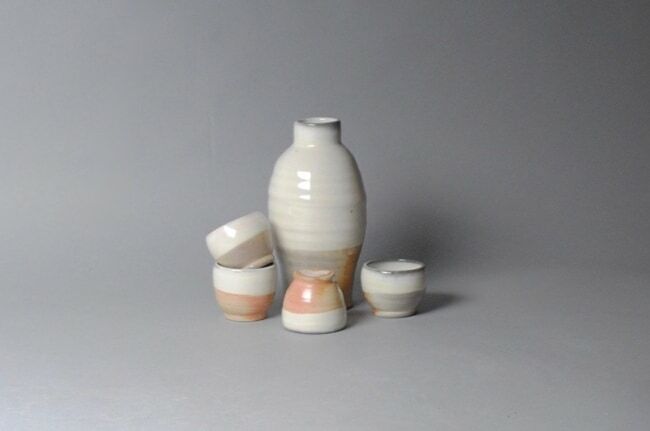 Porcelain uses a particular kind of clay and is treated a certain way so that when it’s finished, it’s translucent. Hold the ceramics you’re thinking of buying up to the light, if you can see it through the edges, you’re looking at porcelain. If you can’t, you’ve got some genuine pottery! According to modern gift guides, this is the year for celebrating with leather goods. If that sounds like something that’s right up your alley, you could head along to our post about 3rd year anniversary gifts – it’s packed with leather gift ideas. Bird of paradise: The strong colour and dramatic shape of this lovely flower is a great way to express the joy your marriage gives you both. It also represents travel and adventure, which speaks to many more great journeys together ahead. Lapis Lazuli: This vibrant blue mineral is the traditional choice for the 9th anniversary. It’s often veined with hints of green and purple, giving it an extra special dimension. It was favoured by Pharoahs in ancient Egypt as a stone associated with truth, making it ideal for highlighting the honesty in your marriage! Show her how happy you are to celebrate nine wonderful years together with a perfectly-picked pottery gift. From a mug for her morning cup of joe to workshops for creative souls, we’ve put together a few of our favourites. 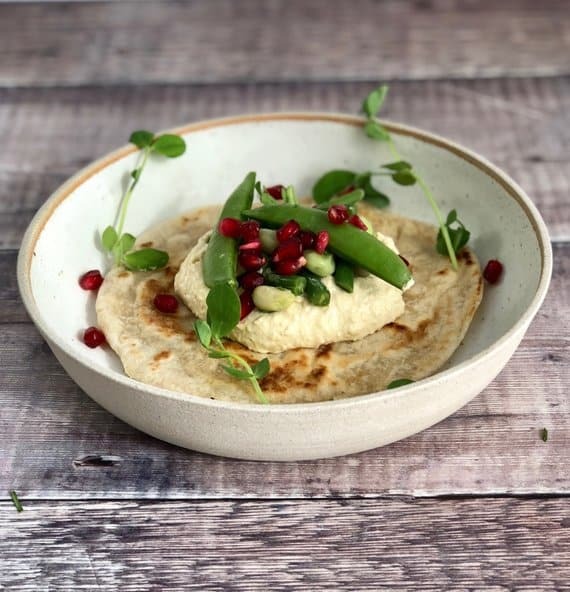 Even the simplest meal can look pretty special when served in the right bowl. Make sure that the next time you share a meal — one of the nicest and most simple things to do as a couple — you’re both going to enjoy it that little bit more with the gift of some gorgeous bowls. This is also a great gift choice if your sweetheart loves throwing dinner parties. This might be a little bit left-field for an anniversary gift, but if your wife enjoys getting crafty, it could be perfect. 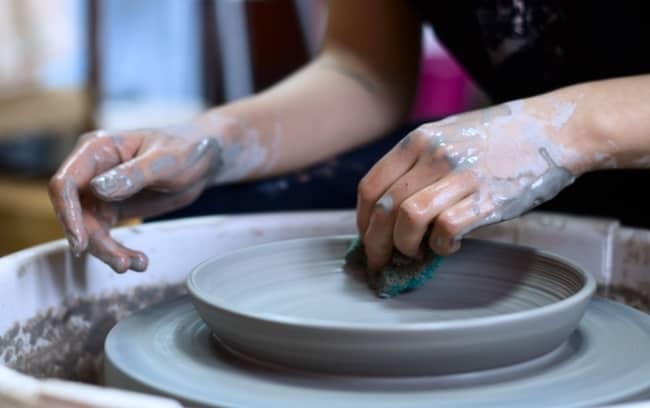 Pottery classes will give her the chance to learn a new skill, meet new people and, if it all goes well, bring home some brand new pottery to take pride of place in the home you share. A splash of good olive oil makes pretty much any dish just that much tastier. Why not take an everyday, boring bottle and exchange it for something as lovely as this? If she enjoys spending time in the kitchen, she’s going to appreciate having something that’s as good to hold as it is to look at on her counter top. I love this stately style! A well-placed lamp can really bring a room together. It’s calming cream tones and rustic hint at the bottom gives it a real edge and you know it’s going to sit firm, even if you’ve prone to failing elbows or to piling up stacks of books that might just topple on your side tables (not looking at anyone here, hun). If your favourite lady loves to make cake (or eat it too! ), then this beautiful stand could be just the thing. Maybe you’re the baker in the family. Maybe you both have a few patisseries on speed dial. Either way, this stand elevates any birthday, Christmas, anniversary or special occasion cake to a whole new place. Plants make a house feel a bit more like a home. Now that you’re nine years in to marriage, maybe it’s time to shake things up a bit? 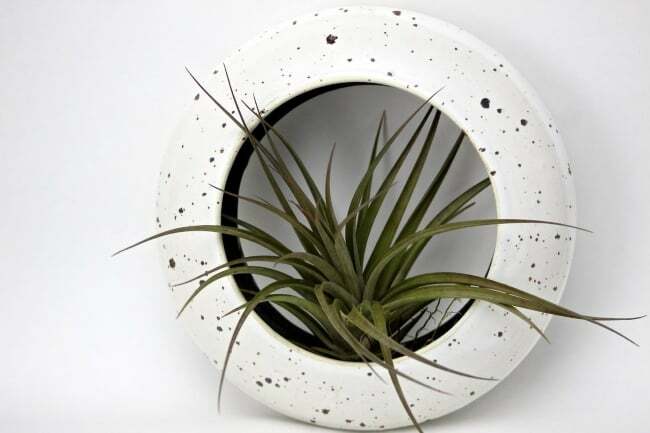 A gorgeous pottery wall hanger like this is a subtle yet beautiful way to bring low-maintenance greenery into your space. 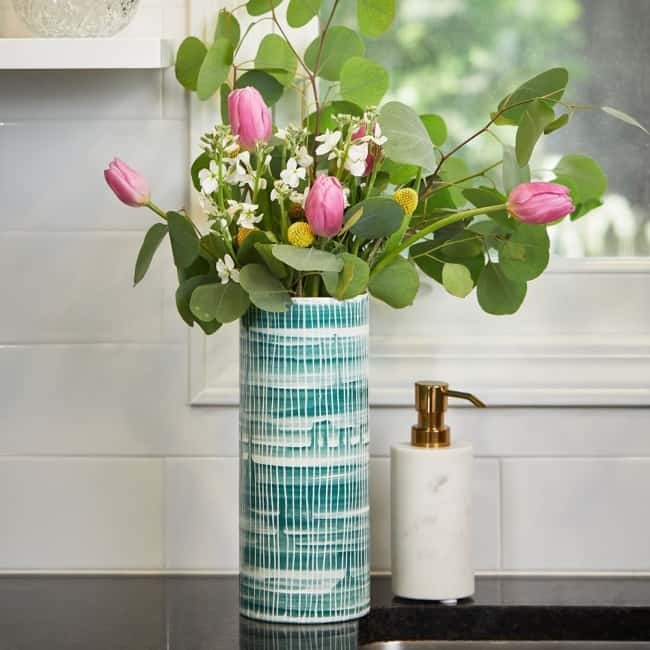 A stunning pottery vase is sure to get plenty of use – especially if you’re good at bringing home bouquets! Play it right, and you’ll be giving a gift this anniversary that can be enjoyed every time the special day roles around again. Just remember to pick up flowers to fill it and don’t forget, birds of paradise are the perfect bloom for this anniversary. To add an extra thoughtful touch to your vase, consider personalizing it with a few special words. You could ask the maker to add your anniversary date, your names, or even a secret message that only the two of you will understand. I guarantee it will make you smile every time you refresh your flower display. If you’re anything like me, that quiet few minutes at the start of the day as I sit and enjoy a coffee is a real highlight. Make that moment all the sweeter with a set of matching mugs. 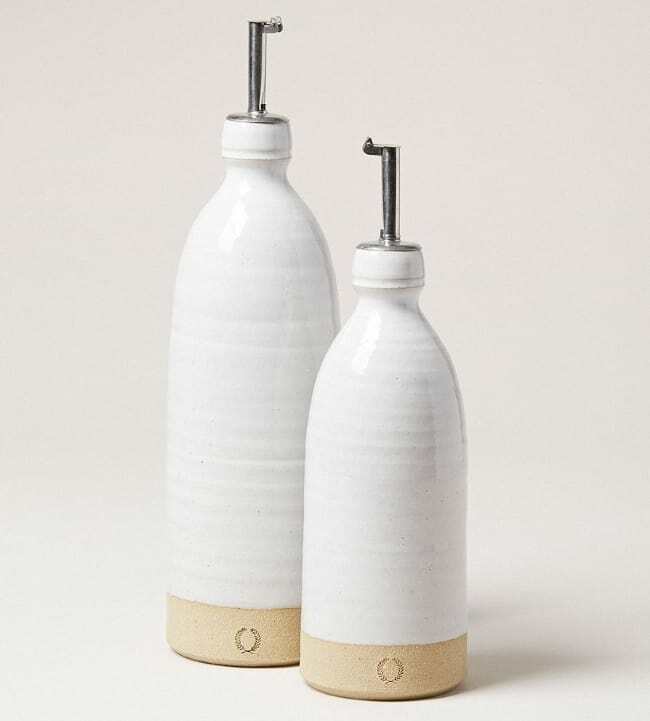 These tactile, cream designs are sure to be favourites for macha, tea and more. 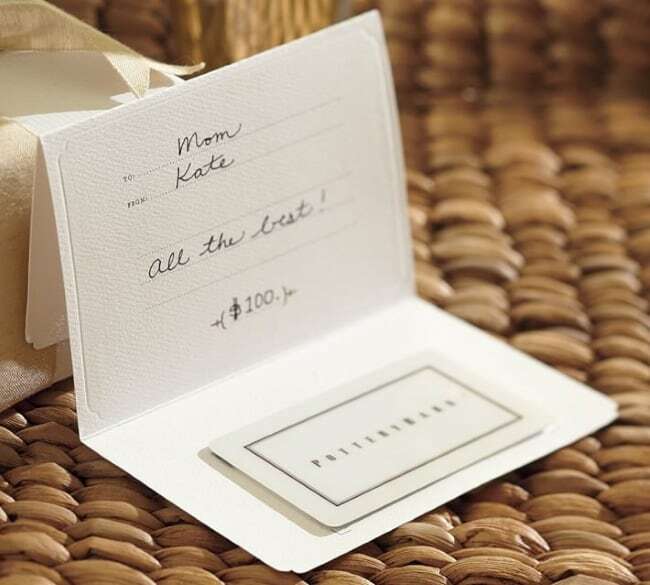 While it’s always nice to give something to open on a big day, there’s also a lot to be said for a well-thought out gift card. And for this anniversary there are few more perfect places than the Pottery Barn! 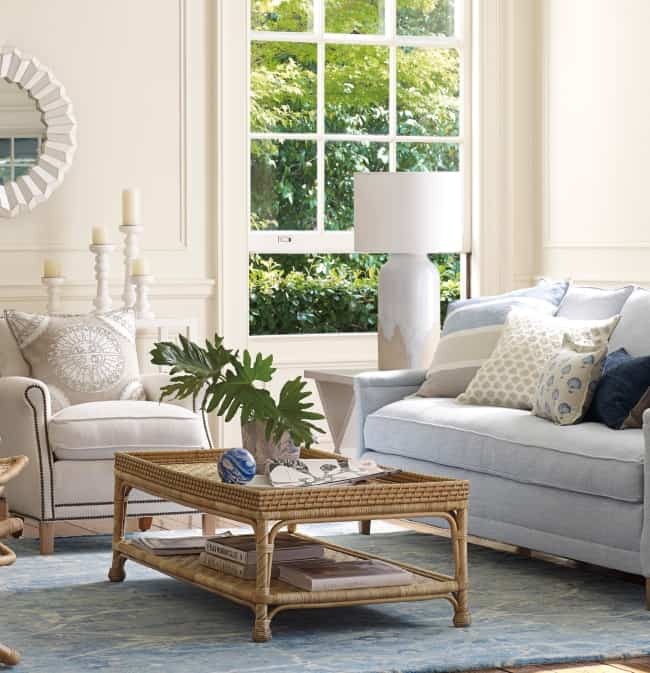 Plan a trip together to pick out a few new accessories that will let you give your home a mini makeover. 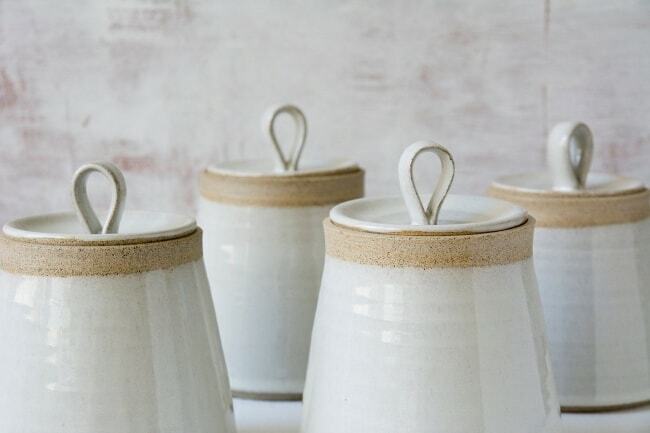 Show him how much you care and celebrate some of the simple things in life with pottery gifts that’ll encourage him to take some ‘me time’ or indulge in a few treats. We love watching cooking shows on the weekend. Sooner or later they always end up doing an episode in Morocco to highlight the wonderful gastronomy of that part of the world. 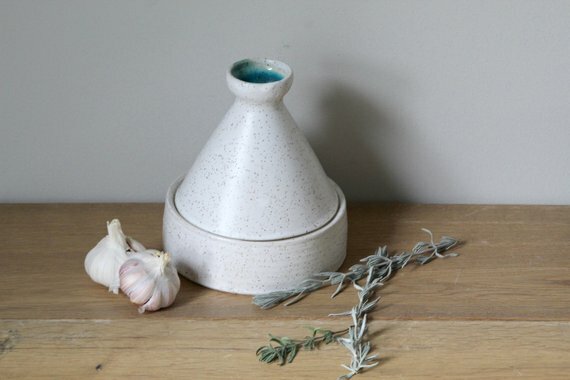 If your favourite guy loves to experiment in the kitchen, then a quality tagine pot like the one pictured is an interesting kitchen appliance he may not have used before. Not only will it give him an excuse to whip up a feast, but it’ll look snazzy on your kitchen shelves too. Do buy some ingredients (or book in some shopping time together) so it can be enjoyed the right away. Maple syrup and bacon. Every man’s food dream? 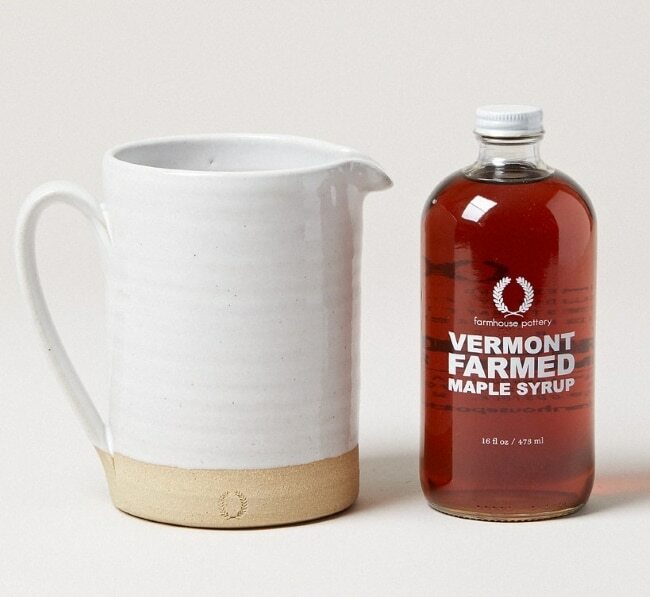 If your hubby has a sweet tooth anything like mine, a maple syrup pottery pitcher is just the right kind of indulgence. Serve this gift up with a surprise pancake breakfast in bed and get your anniversary off to a great start. 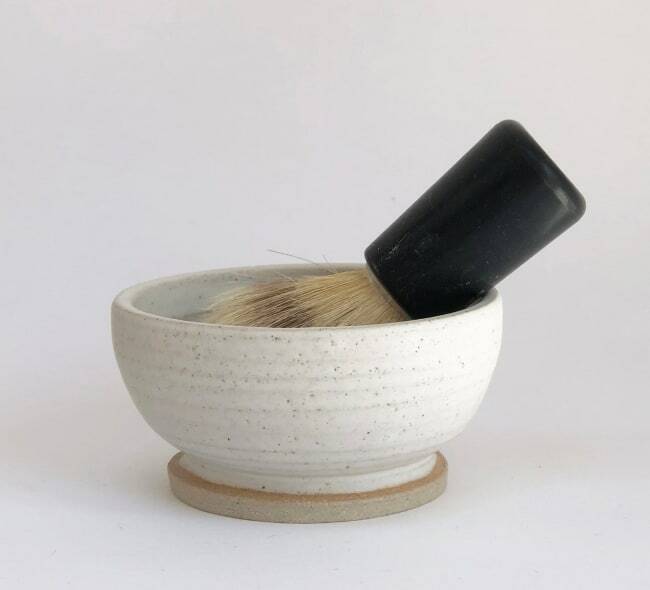 Offer up a moment of zen in the morning with a stylish, ceramic shaving bowl. Lathering up will be a pleasure when its done with the help of this nifty little gift. A new home for his razor. He’ll love the fact the blades stay sharper and rust free for longer. 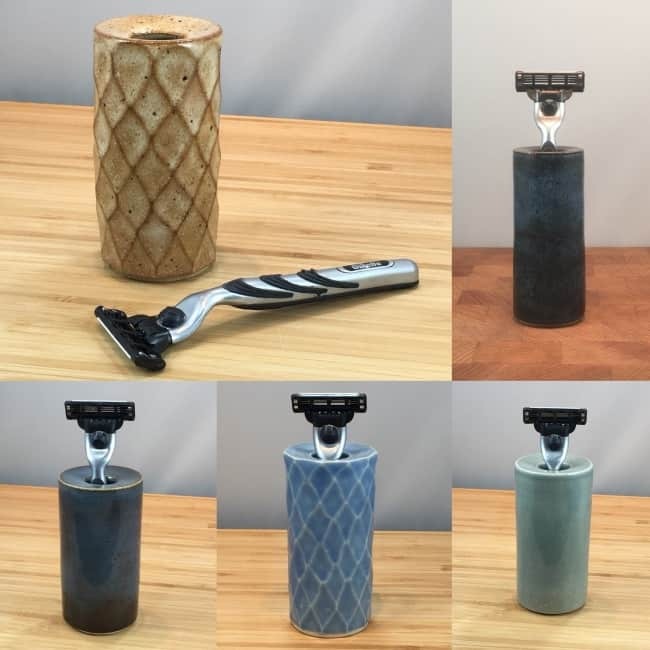 Excess water will drain away, giving the blades the chance to dry off and the edges will stay out of contact with anything that could blunt them. Also, they look lovely! What’s better than a cold beer after a long day? How about a cold beer served in your very own hearty stein. This is one piece of pottery I think a lot of people can get behind. The colours are spot on too. My husband spent time in Japan in his early years, before me. He tells tales about sake that I am not sure I believe. Nonetheless, I do know that sake is a fragrant and subtle rice wine that can be served hot or cold. 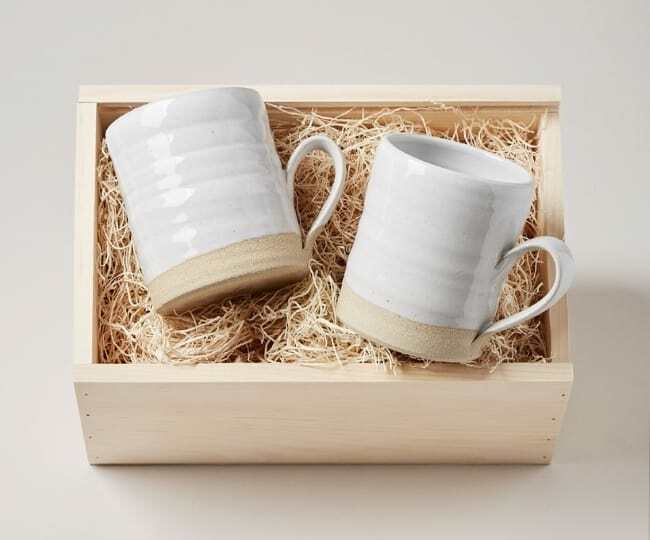 A beautiful pottery set like this works both ways, and will look spectacular in the centre of the table when sharing a bottle alongside some of your favourite Japanese cuisine! 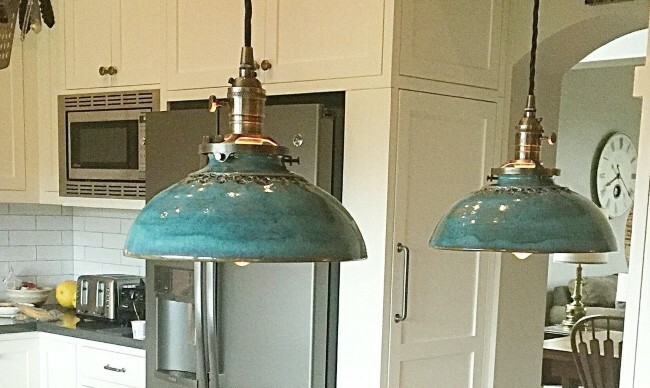 Light up his life (even more) with an eye-catching pendant lamp in glazed ceramic. This is a good choice if your other half if a bit of an interior design buff, and it’s one you’ll both get to enjoy day after day. A simple but beautiful cookie jar is just the place to keep all of your sweet treats and makes a lovely gift for your honey. Of course, to really make this gift the very best it can be, I totally recommend filling it with freshly baked homemade cookies!! 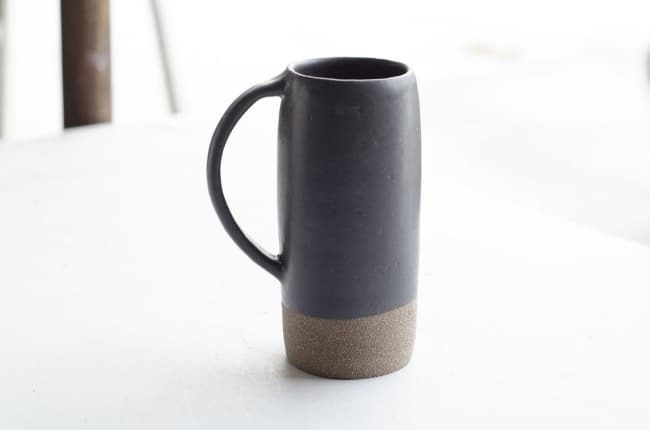 Until next year, thanks for checking out our list of pottery anniversary gift ideas. Congratulations on your ninth anniversary and we wish you all the best ​in the years to come!